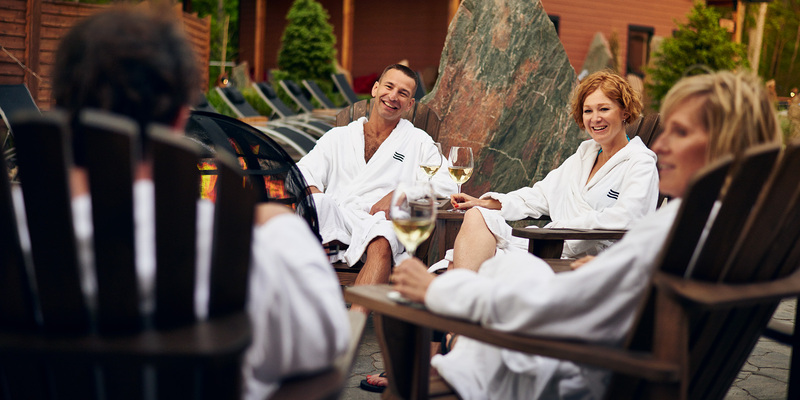 Include in your touristic itineraries a wellness break at Thermëa by Nordik Spa-Nature. Suggest to your travellers the ultimate relaxation experience, in complete harmony with nature. 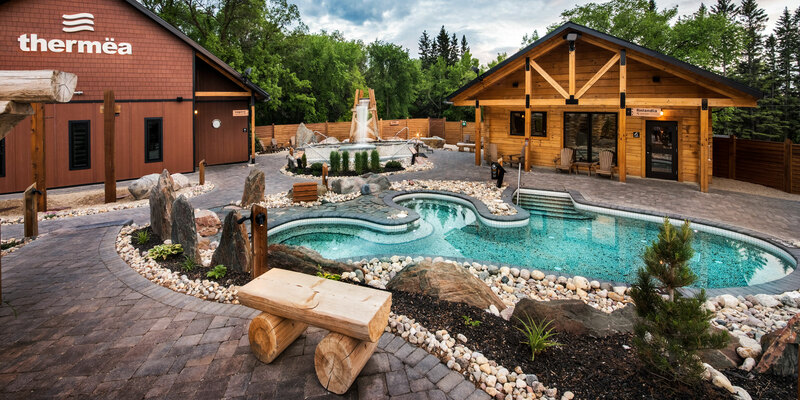 Erected right next to Crescent Drive Golf Course in Winnipeg and only 20 minutes from downtown, this relaxation and healing centre is mainly focused on heat therapy and relaxation techniques from Scandinavian countries. 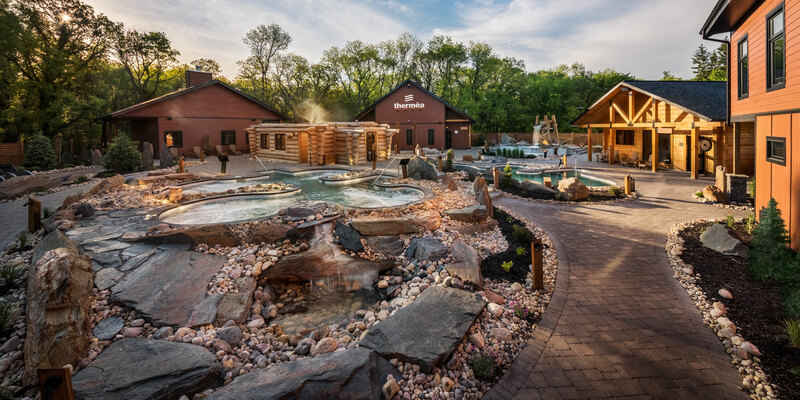 It offers a multisensory experience in a surrounding natural setting and is aimed at contributing to the health and well-being of its guests. Our team of wellness creators will be thrilled to welcome your groups of travellers in every season. It is their duty and their pleasure to make every visit an unforgettable journey in relaxation. Tour bus parking is available and free for tour operators. Give us the pleasure of helping your travellers prepare for their visit to the spa. The following information will help them get the most out of their wellness break. 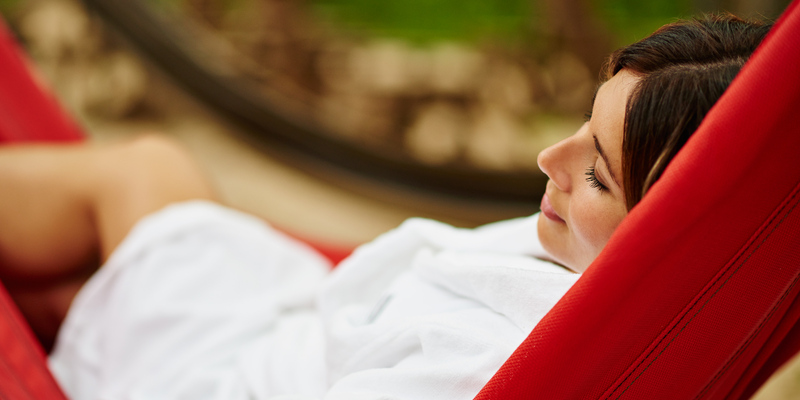 Our services: The thermal experience allows you to use our facilities for a full day. You can enjoy our 3 baths (hot, cold and temperate), 4 unique saunas, outdoor and indoor relaxation areas. We also have a restaurant with terrace. Please note that thermotherapy is not recommended for people with diabetes or cardiovascular disease, or for pregnant women. Massages, body treatments and different treatments are available for an unbeatable relaxation experience. Discover the spa before your visit. Have a look at our photos, videos and to the detailed site map. We provide a towel and a locker. You should bring your bathing suit and sandals. You can also bring your own bathrobe, or rent one for the day, or you can buy one at our boutique. We recommend you bring as well as reusable water bottle (glass containers prohibited), water fountains are available on site. Items such as bathing suit, sandals, reusable bottles, bathrobes can also be purchased at the boutique. We also recommends bringing reading material, sunglasses, lip balm, and sunscreen in the summer. In the winter, add a warm hat to your list. 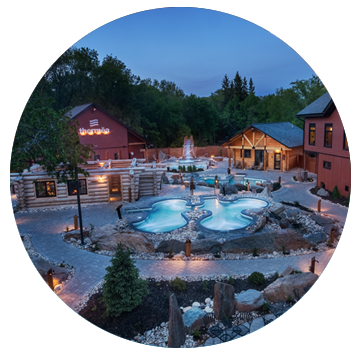 For more information about Nordik Spa-Nature, to obtain a quote, and to make a reservation, please contact our Communications, Marketing and Partnership Manager. She can answer all of your questions and provide you with everything you need for your spa visit that meets your highest expectations.